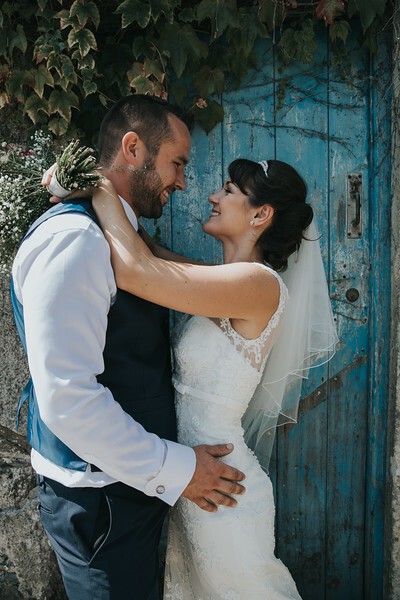 Knot - Published 2018 - "A Romantic Reportage"
WEDMAG - BLOG 2018 - "Real Weddings in Cornwall and Devon"
WEDMAG - Published 2018 - "A Song for the Lovers"
Knot - BLOG 2018 - "We Love Chris Symonds"
WEDMAG - Published 2017 - "Young Hearts"
Knot - Published 2017 - "Capturing Connection"
WEDMAG - BLOG 2015 - "Beautiful Boutonnieres"
Chris was one of the best decisions we made with regard to our wedding. He captured everything we could have possibly wanted in our photos, right down to the emotions felt. Working with Chris was a dream; he makes you feel really special without being overpowering- he just blends into the background of the day capturing elements we may have missed out on! We honestly can’t recommend Chris enough! Chris was absolutely amazing from the first point of contact. He was informative and chatted with us to get an idea of what we wanted from our photography. He met with us to show us the different options that were available to us and then went through a plan of the day. We then went on a drive around the area to get some ideas on where we could do the shoots and so that everything ran smoothly on the day. On the day Chris arrived looking professional and smartly dressed and we didn’t even know he was there! We have recently had our initial back and they are absolutely incredible. They have captured every single emotion of the day and we could not have wished for anything more. Chris is a credit to his industry and I would recommend him over and over! 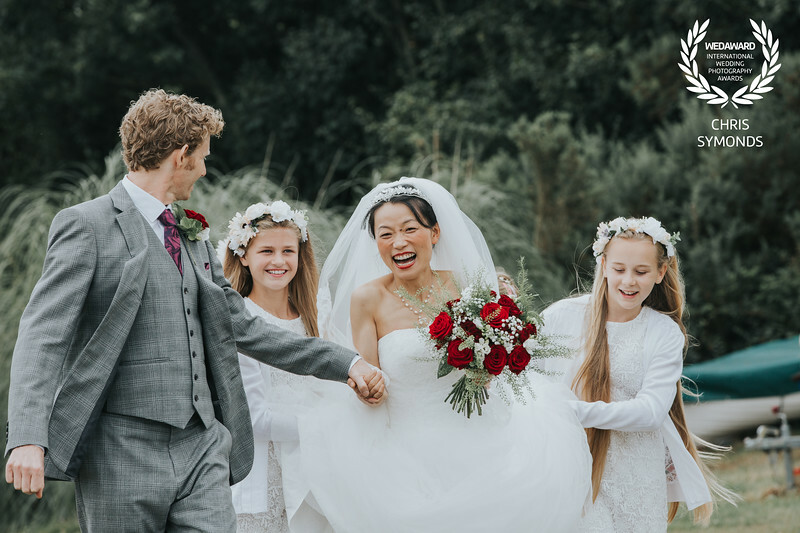 Chris made both us and our guests feel totally relaxed and provided a professional and bespoke service with a real understanding of how we wanted our day captured. Chris has a really distinctive and original photography style and ideas - we love the natural modern look of his photos and we would not hesitate to recommend him to other couples! We are absolutely over the moon with the photos that Chris took for us on our wedding day. He has such a lovely style and the pictures are so natural and captured our day perfectly. From start to finish Chris was amazing, he was easy to communicate with and the end product was beyond what we were expecting, we knew our pictures would be good but they were even better than we imagined! Lovely presentation of our memory card and a few printed pictures were added which was a lovely touch. Honestly couldn't recommend him more, if you want beautiful natural moments caught on camera, Chris is your man! "Chris is a fantastic photographer who was very professional, confident and courteous. Chris blends into the surroundings and makes everybody feel at ease. His professionalism and friendly approach to the day was brilliant. We would highly recommend Chris for any special occasion"
"We cannot say thank you enough for being our photographer. We are over the moon with our photos, so relaxed and natural. Superb work. Throughout the day we didn't even realise you were there half the time, blended in with the guests very well. Made everyone feel at ease. Again, the photos are amazing, better than we ever imagined. 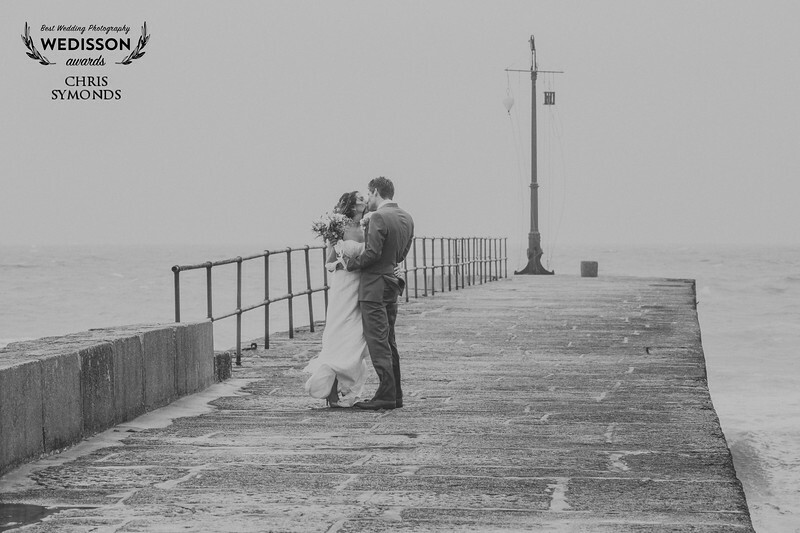 Thank you so much"
"Chris, it was an absolute pleasure having you photograph our wedding. Right from initially booking you, you have been so professional and thorough in everything that you've done. You captured our day perfectly and, as other couples have already said, you managed to do so with us hardly knowing that you were there! As well as the obvious shots, you captured so many beautiful and special moments that both we, our friends and our families are absolutely delighted with. We wouldn't hesitate to recommend you to any other couples"
"Chris was a complete professional from start to finish taking the time to visit the venues before hand to look at lighting etc. On the day he made us both feel relaxed and blended into the background that we forgot he was even there, which is brilliant as it's these special unscripted moments that he captures on camera which in my opinion make the best photos. Chris professionalism carried on after the day with the album being so cleverly put together. So many photos of the day all amazing memories captured that we will be able to look at for years to come. Thank you Chris words cannot do justice to the amazing job you have done"
"A very talented photographer that will make everyone feel at ease at your wedding. Chris took beautifully natural photos of our wedding and captured all of our special moments throughout our day. Couldn't of wished for a more relaxed talented photographer! Would definitely recommend!" "We recently had our photos done for our wedding by Chris and was so so pleased with them, would highly recommend to anyone from the lovely positive happy manner to the outstanding photos!" "Absolutely brilliant photographer! Chris was fantastic! Nothing was too much trouble, blended into the wedding without being noticed, but produced amazing photos to make our day even more perfect! Will recommend to everyone!" "Me and Luke have just finished looking through our wedding pictures. And WOW what can we say, they are absolutely amazing you have captured every part of the day so perfectly, and all with such natural smiles and laughter. We both are so overwhelmed with how beautiful they are and cannot thankyou enough. Many thanks"
"Having looked at 14 other photographers, Chris Symonds clearly stood out from the rest. Chris was professional, provided good communication and clearly has a true passion for photography. 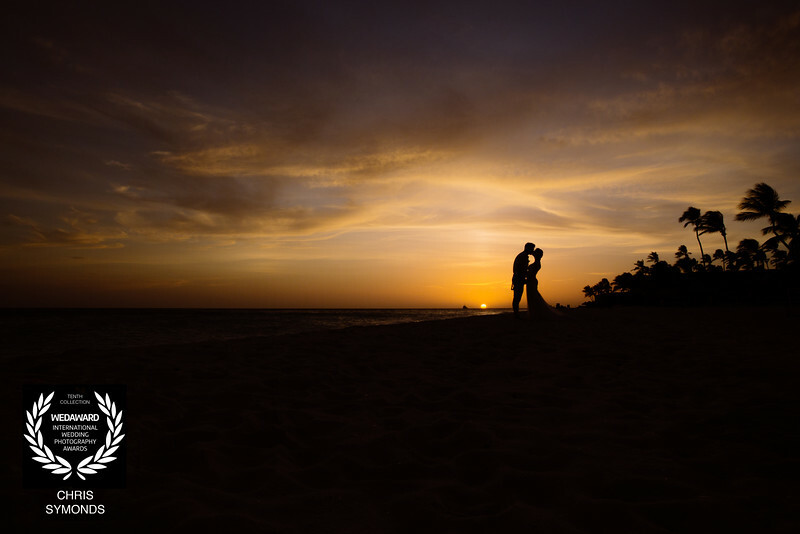 Having met Chris prior to our wedding for a consultation we walked away with the feeling that he understood us as a couple and what we wanted to achieve on our big day. The day of our wedding went perfectly, Chris worked with all our guests and family to achieve what can only be described as absolute perfection. We knew Chirs was talented having looked at previous weddings he had photographed, but the photographs Chris produced on the day left my Wife and I in tears of happiness. We would highly recommend Chris Symonds as your Photographer, you will not be disappointed." "Thank you Chris you did such a fantastic job with our wedding photography. We are so pleased with the photographs we received, your professionalism and your flexibility. You are an extremely creative photographer and you were very patient with all of us. 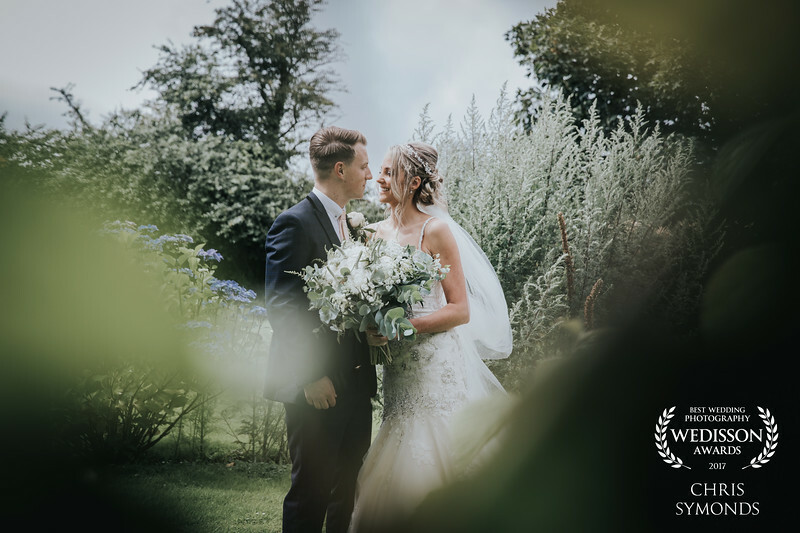 We would strongly recommend you to other potential couples looking for a wedding photographer"
"Thank you very much for making our wedding day that extra bit special, the photos we received were absolutely fantastic. I just love the natural ones of me laughing, I'm so pleased that we had you take them for us. You really are an excellent photographer and we would recommend you to anyone who is looking for someone to photograph their wedding"
"We just wanted to say a huge thank you to you for doing a brilliant job at our wedding. Despite the typical Cornish weather, we had a fabulous day and we're just now looking through all the great photos you took. I will certainly be recommending your services to anyone I know who is getting married in the area. Thanks again for your professionalism and the care you took in capturing our day so perfectly"
Chris, having you there not only as an old friend but also as an excellent photographer really made our day. You got all the shots we asked for which we adore but also love your creativity and the pictures which were being taken unknown to us our amongst our favourites. We love that you gave us the freedom with our relaxed wedding and didn't pressure us into doing any pictures we didn't want. We would recommend you highly to anyone looking for a photographer for their wedding"